Still on track, the first major winter storm will begin to impact the Midwest Wednesday night and last through Thursday. 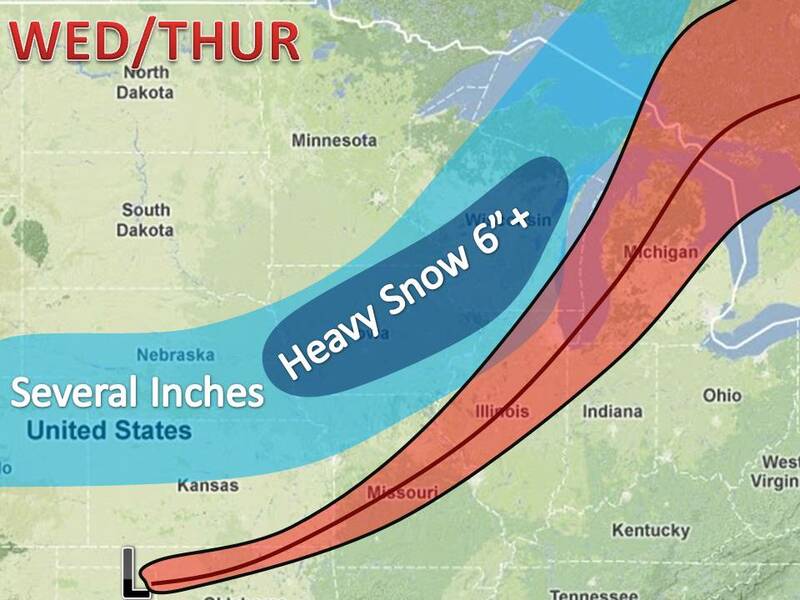 The snow forecast is based on the most likely track (the middle black line). The red cone is the range of track computer models are showing. If the track shifts, the heavy snow band will also shift. With that in mind, it does look likely that someone will get 10-14". It is just impossible to pin down the heavy snow band with a variance in computer models. After the storm passes, cold air will crash in and lead for a cold weekend. Stay tuned for updates!